His dad had called while the young comedian—then 26—was driving to an open mic in Los Angeles. Thinking it was a family emergency, Minhaj pulled over. Instead, his father wanted to talk about law school. 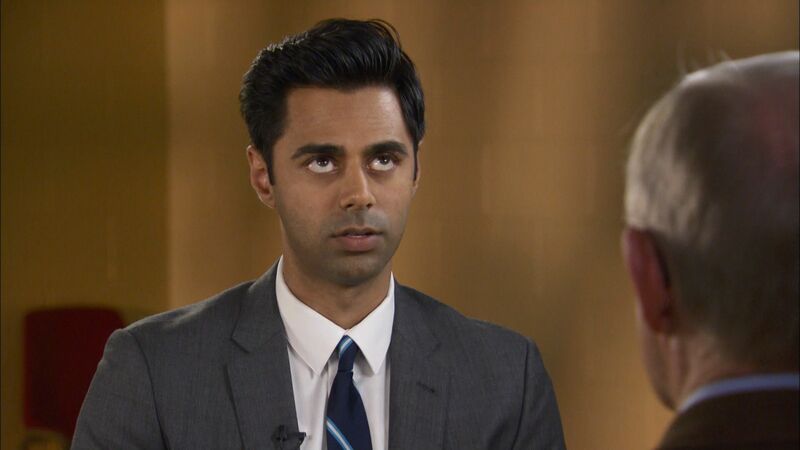 The two had a deal: Minhaj would take the LSAT after college, and if, after five years, he hadn’t “made it” in comedy, he would apply to law school. 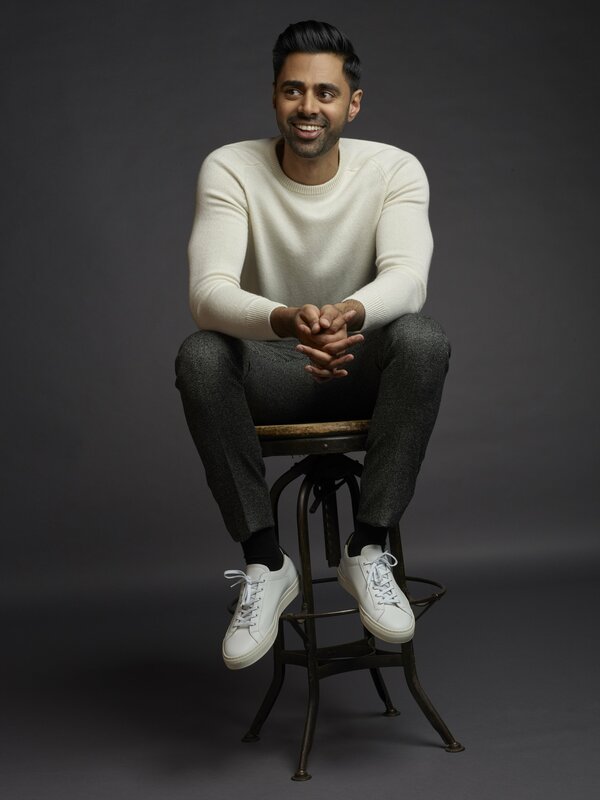 Minhaj’s comedy résumé was pretty thin: a few minor TV roles and a finalist in NBC's Stand-Up for Diversity, a competition that puts comics in front of agents and managers. His father was not impressed. “Sleeping on an air mattress in Pasadena in someone’s attic,” he told Minhaj, “is not something I would like to see my capable son doing.” His time was up. But Minhaj kept going. In 2014, Jon Stewart, in his last act before leaving The Daily Show, hired him as a correspondent. 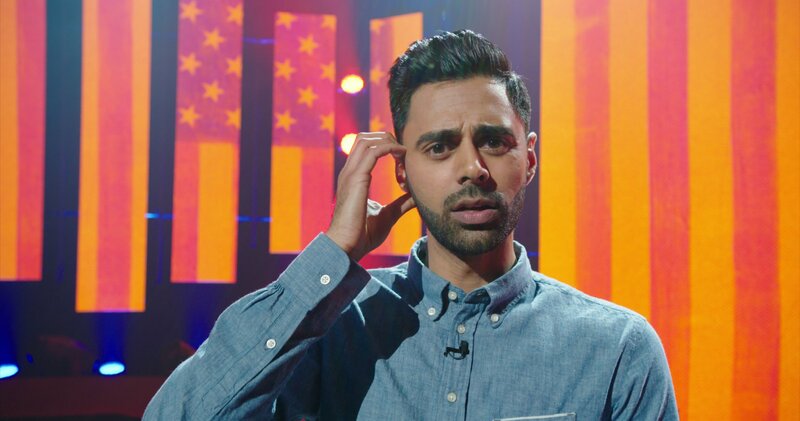 Three years later, Minhaj was the featured comedian at the White House Correspondents' Dinner, and in 2018 he nabbed a Peabody Award for the stand-up special Homecoming King. And now, his own weekly comedy news show, Patriot Act, premieres on Sunday, October 28. (In the trailer, Minhaj, now 33, fields a text from his dad asking if he needs money now that he’s been “fired” from The Daily Show.) But his father’s worries in 2011 were well-founded: At the time—before the mainstream successes of Mindy Kaling, Aziz Ansari and Kumail Nanjiani—American mainstream comedy was a desert for South Asian-American comics. Chris Rock crystallized the idea of a stand-up career. Someone passed along his Never Scared special during Minhaj’s freshman year at the University of California, Davis. Struck by Rock’s “honesty and candor around politics and race in America,” he literally Googled “how to be a stand-up comedian.” Step one: Phone your local comedy club, the Sacramento Punch Line. Minhaj relays the conversation: “Hi, uh, my name is Hasan, I was looking on the website and it says Dave Chap-pily is performing this weekend? Can I open for Dave Chap-pily?” Minhaj didn’t open for Chappelle, but he was invited to the next open mic. Patriot Act co-creator Prashanth Venkataramanujam, friends with Minhaj for 10 years, remembers the grueling comedy circuit. Yet despite the terrible odds, the boyishly handsome Minhaj always had the swagger now familiar to his fans (what AV Club once described as “a baller’s persona”). “We’d go to depressing open mics with 100 comics, wait to do three minutes of material, and he would still come to the stage as if it was the Apollo,” says Venkataramanujam. Shortly after, Minhaj and some friends—Asif Ali, Fahim Anwar and Aristotle Athiras—created a sketch group called Goatface and filmed a 2012 YouTube series, The Truth. 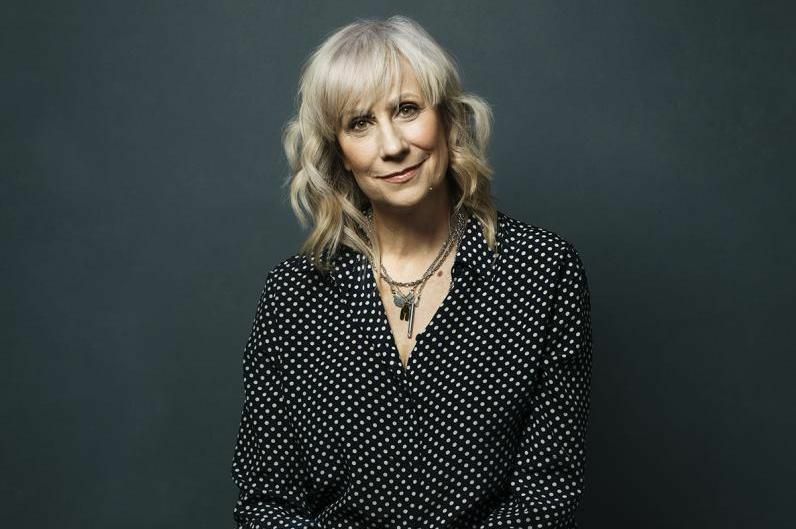 (The comedy quartet is reuniting for its first one-hour special on Comedy Central on November 27.) In the most popular episode of The Truth, Minhaj blasts actor Ashton Kutcher for his “brownface” Popchips commercial, which later got pulled. “I didn’t realize that basically what I was doing was preparing myself for The Daily Show,” says Minhaj. The full speech has more than 2 million views on YouTube. Less than a month later, Homecoming King dropped on Netflix to rave reviews. Suddenly, the self-described “third most popular Daily Show correspondent” had offers from multiple networks to pitch his own show. 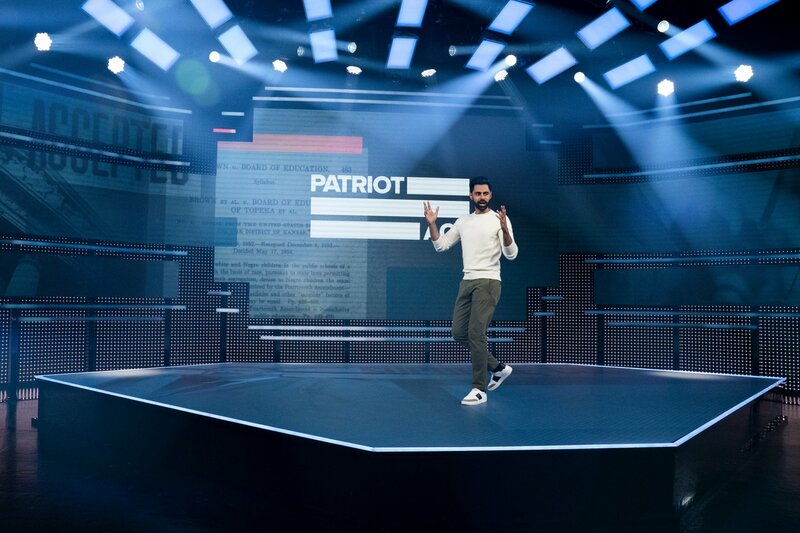 Patriot Act, which tackles weekly news as well as broader issues, combines the long-form storytelling of Homecoming King with the biting political commentary of his correspondents’ dinner speech. He’s also drawing from King’s inventive, multimedia graphics, in which Facebook comments zoom around like an extension of his body. “It’s a visual investigative comedy podcast,” says Minhaj. The first episode features the comedian alone on a bare stage—no chair, no desk, no couch, no band—surrounded by screens. His first monologue: a funny deconstruction of the Harvard affirmative action lawsuit over restrictive quotas for Asian-American students. Luckily for him, two rejection letters arrived in the mail. Patriot Act will air on Sundays on Netflix, beginning October 28.